The prologue to this piece was part of the farewell address to the American people delivered in January 1953 by President Harry Truman. It was a categorical reference to the concept of “The buck stops here,” which Truman, 33rd president of the United States, invented and espoused diligently. So passionate was Truman about this principle that he made the phrase into a desk sign that stood on his desk throughout his tenure. “The BUCK STOPS here! This phrase is an irrefutable reminder of where the ultimate power lies in a democratic presidency, which one is minded to recommend to President Muhammadu Buhari in these very worrying times, especially in the wake of the Nigerian senate’s despicable rejection of his nominee, Ibrahim Magu, as substantive chairman of the Economic and Financial Crimes Commission, EFCC. Clearly, if nothing else, Buhari should know that that rejection sounded the death knell for his vaunted war against corruption, as well as constitutes a huge embarrassment to his person and office. And he should also take notice that rather than being the end, the senate’s act is just the beginning of the process of giving full expression to a familiar refrain of his and numerous other lieutenants in the APC administration: corruption is fighting back. Yes, corruption is fighting back, and the Buhari administration needs to summon the will to repel the attack and crush the monster. Otherwise, as Buhari himself has often stated, it will kill us. With the decision to block Magu from becoming EFCC chairman, there is no way corruption won’t kill us eventually if Buhari does not act like a true president. In the subtle design to rubbish Buhari’s government and preserve the old order, Abba Kyari is ably supported by other willing collaborators among them the equally unpleasant DSS boss, Lawal Daura, and the senate president Bukola Saraki. But now is the time to urge Buhari to toe the path of Truman and point to Abba Kyari and the rest of the destructive gang where the buck stops. With an impressive credential of personal integrity, and with fervent pre and post election resolve to wage an all-out war against a scourge that has gone down as the biggest cog in Nigeria’s development – a resolve for which he received an unequivocal endorsement from the vast majority of Nigerians – will Buhari buckle under the unrelenting onslaught of a vicious cabal whose singular interest is to perpetuate corruption as the directive principle of state policy? Will he continue to fold his arms and look the other way when his arch ally in the anti-corruption war, the man who has demonstrated rare courage in dealing corruption an unprecedented blow is being sought out by the cabal for destruction? That the senate did what they did was not altogether surprising. Every discerning observer saw it coming. After more than one year of Magu as acting chairman, and six months after receiving a letter from the Vice President, Yemi Osinbajo, requesting the senate to confirm him as substantive chairman of EFCC, the senators reluctantly rustled up a pathetic engagement with Magu on the day they had scheduled to go on end-of-year recess. Instead of allowing the man to appear before them at plenary as the whole world expected, they arranged a sham executive session where the public was shut out. 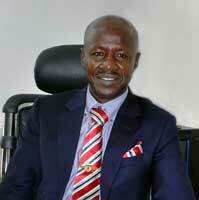 It was at that dubious session that Magu’s fate was purportedly sealed. While the world was still waiting for the chambers to be thrown open and Magu invited for screening, it was a guilt-ridden, tremulous spokesman of the senate, Aliyu Sabi Abdullahi, that appeared to read a terse statement announcing the senate's decision that Magu was not “fit” to be confirmed as substantive chairman based on a security report submitted by the DSS. What the spokesman failed to tell his audience was that there were indeed two security reports on Magu written the same day by the DSS. The one that clearly acquitted Magu and certified him qualified to lead the EFCC was discarded by the senate, and the negative report was picked just because they had an evil agenda that must be satisfied no matter what it takes. No wonder he refused to take questions. It will be interesting to see how Buhari reacts to all of this. His reaction should determine the status of The Presidential Advisory Committee on Anti-Corruption (PACAC) headed by Professor Itse Sagay, going forward. If Buhari would not see through the shenanigans of the Abba Kyaris, the Bukola Sarakis and assert himself as president by insisting that Magu remains his choice for the EFCC chair, Sagay should lead other members of the committee to resign the job and allow Buhari to fight corruption his own way. Truly, if Magu was really corrupt, the Nigerian senate that we know would have filled the chamber with chorus of "Take a bow; Take a bow!"